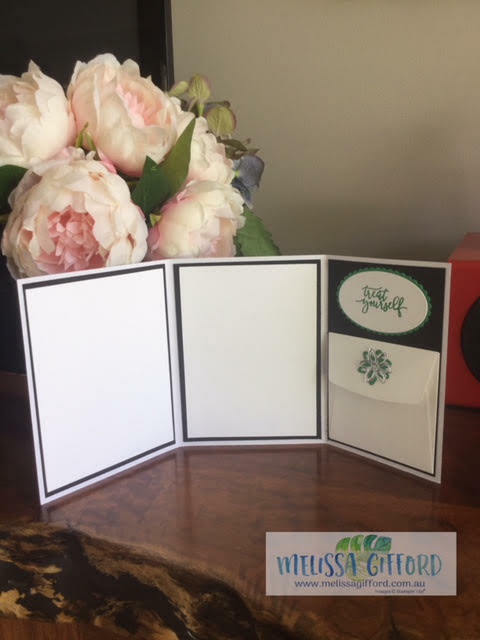 Melissa Gifford - Independent Stampin' Up!® Demonstrator: Thank you Coach cards part 2! Thank you Coach cards part 2! As promised here is another Coaches thank you card again in the team colours. Thank goodness Stampin'Up! 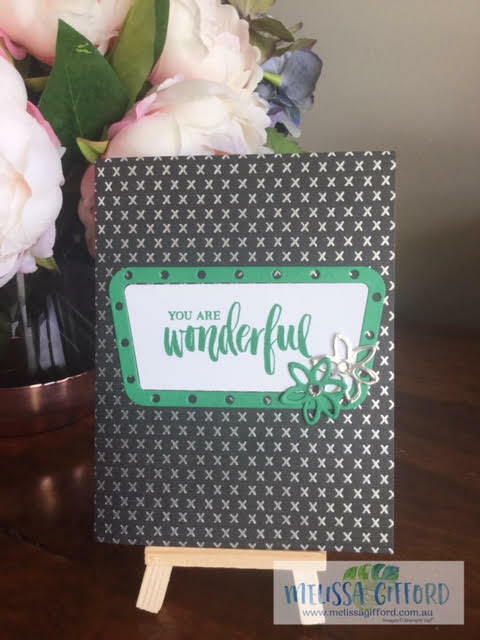 have such a wide range of colours to choose from, it makes these cards so much easier - I just look at the colours of the team tops and can usually match the cardstock identically! In this case it was green, black and white so I went with Call me Clover. The dsp is a retired one that I don't have the name for sorry but it has a lovely black and silver pattern that matched so well. This is a trifold card, a style I have shown you before. I added white inserts for the girls to write on and a small envelope to add include some cash.